In our bodies, stem cell populations live in specific places that are specially designed to accommodate them known as “stem cell niches.” Stem cell niches host and maintain stem cell populations, but the dependence of particular stem cells on their niche varies. For example, in the fruit fly, Drosophila melanogaster, the germ line stem cell niche can drive stem cells that have already begun to differentiate to revert into undifferentiated stem cells (see Brawley C and Matunis E. Science 2004;304:1331–4 and Kai T and Spradling A. Nature 2004;428:564–9). However, hair follicle stem cells do not revert when they return to their niche even if this niche has been depleted of stem cells (see Hsu Y-C, Pasolli HA, Fuchs E. Cell 2011;144:92–105). Also, blood cell-making stem cells that normally live in bone marrow can leave their niche in the bone marrow without losing their stem cell properties (Cao Y-A, et al., Proc Natl Acad Sci USA 2004;101:221–6). Finally, neural stem cells can exist and even self-renew outside their niche (Conti L, et al., PLoS Biol 2005;3:e283). In order to properly grow stem cells in culture and manipulate them for therapeutic purposes, scientists have attempted to recapitulate stem cell niches in culture but only with very limited success. Nevertheless, trying to get stem cells that have been introduced into a patient’s to engraft or make the new body their home has required a better understanding of stem cell niches. To that end, Professor Claudia Waskow and her colleagues at the Technische Universität Dresden in Germany have utilized a downright ingenious method to make a mouse that can support the transplantation of human blood stem cells. This is despite the species barrier and, these mice do not need to have their own resident stem cell population obliterated with radiation. How did Waskow and others do this? They used a mutation of a receptor called the “Kit receptor” to facilitate the engraftment of human cells. “What is the Kit receptor,” you ask? The Kit receptor is a protein in the membranes of blood stem cells that binds a soluble protein called stem cell factor (SCF). Stem cell factor drives certain types of blood cells to grow, and also mediates stem cells survival, proliferation and differentiation. Activation of the Kit receptor can also cause blood stem cells to leave the bone marrow and move into the peripheral circulation. In the mouse model system designed by Waskow and others, the human blood stem cells grow and even differentiate into all blood-specific cell types without any additional treatment, and this includes the cells of the innate immune system. This is a milestone discovery because such cells normally do not form properly in “humanized” mice, but in Waskow’s experiment, these immune cells were efficiently generated. Significantly, these transplanted stem cells can be maintained in the mouse over a longer period of time compared to previously existing mouse models. “Our goal was to develop an optimal model for the transplantation and study of human blood stem cells,” says Claudia Waskow, who recently took office of the professorship for “animal models in hematopoiesis” at the medical faculty of the TU Dresden. Before, coming to TU Dresden, Dr. Waskow was a group leader at the DFG-Center for Regenerative Therapies Dresden where most of the study was conducted. 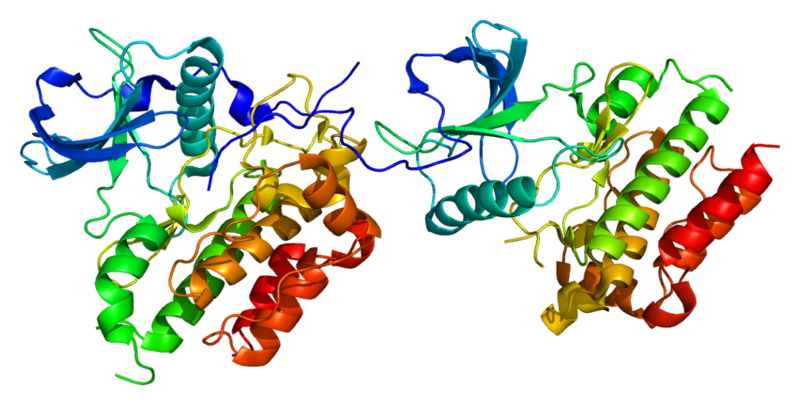 Waskow’s team used a naturally occurring mutation of the Kit receptor and introduced it into her laboratory mice that lacked a functional immune system. This circumvented the two major obstacles of blood stem cell transplantation: the rejection by the recipient’s immune system and absence of free niche space for the incoming donor stem cells in the recipient’s bone marrow. Typically, the animal or the patient is treated with radiation to deplete the bone marrow of resident stem cells. This step, known as conditioning, creates usable space in the bone marrow for the implanted stem cells to take up residence and set up shop. However, irradiation is toxic a whole host of different cell types, not just bone marrow stem cells, and, unfortunately, has several strong side effects. This Kit mutation in the mouse modifies the stem cell niche of the recipient mouse so that the resident stem cells are easily displaced by the human donor stem cells that possess a functional Kit receptor. This replacement works so well that irradiation was unnecessary, which allowed the study of human blood development in a physiological setting. Waskow would like to use this new model system to study diseases of the human blood and immune system or to test new treatment options. These data show that the Kit receptor (also known as CD117) is important for the function of human blood stem cells in a transplantation setting. Further work will concentrate on applying this new knowledge about the role of the receptor to improve conditioning therapy in bone marrow transplantation patients.